The NCPD is looking for a man who entered the bedroom of an underaged girl. 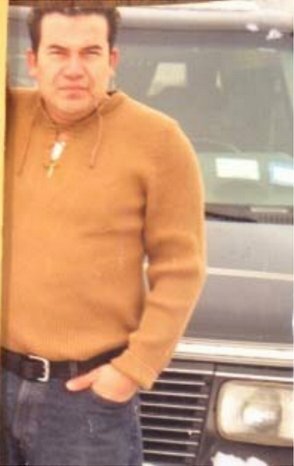 Roosevelt, NY - February 6, 2014 - Crime Stoppers and the Nassau County Police Department are seeking the public’s help with locating the subject Elmer Mata (pictured above). The subject is wanted in connection with a Sexual Abuse case that occurred in Roosevelt, New York. On Wednesday January 1st, 2014 at approximately 5:30 AM on Ellison Ave in Roosevelt, the subject a 45 year old male entered the bedroom of the juvenile victim who was asleep. At that time, the subject pulled down the victim’s clothes, and touched her buttocks. The subject later warned the victim not to tell about the incident. The subject was not at the scene when the police were called, and he has been unable to be located since. SUBJECT DESCRIPTION- male Hispanic, 5’5” tall, 190lbs, with brown hair, and brown eyes. Subject works construction. What’s to Become of the Nassau Coliseum? Subject: LongIsland.com - Your Name sent you Article details of "Nassau Crime Stoppers Seek Information on Roosevelt Predator"